Delivery to the United States 10 days. You can pay with your card! Two leaders - Anastrozole and Letrozole. Which to choose better? Turinabol. Safe and effective or … not? Initially, it should be noted that this course is recommended to be considered by more experienced athletes, but not to beginners for the first year. The reason is that a beginner athlete, is able to get an excellent result, even at the reception of Turanabol solo. The effect of the course Turanabol + Boldenone + Testosterone enanthate + Testosterone propionate, will be obvious and it is aimed at gaining muscle mass and necessarily increasing the strengths. Muscular growth will be more of a quality, rather than a watery one. This result is much easier to save, because the liquid will be small and will merge only at a minimum. Talking about drying, or effective relief, the reception of such drugs is very difficult, most likely the growth of a very relief mass will be for athletes initially slim build. 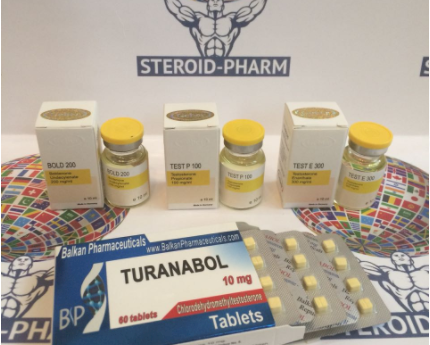 Admission course with known steroids, like Turanabol, Boldenone, Enanthate and Propionate, requires the use of the right dosages and additional aromatase blockers. This will help protect your body from side effects and maximally reduce the percentage of fluid retention. The course duration is 8 weeks, this is the recommended length for which you can get the maximum effect of 5 - 8 kg, judging by the feedback and recommendations of professionals. Reduction in the percentage of fluid retention. If, you are inclined to fullness, then try not to neglect at least a minimal diet and avoid a lot of carbohydrates. Try to add sports nutrition to your daily diet and Turanabol and Boldenone, this will help increase muscle mass, not the fatty layer. 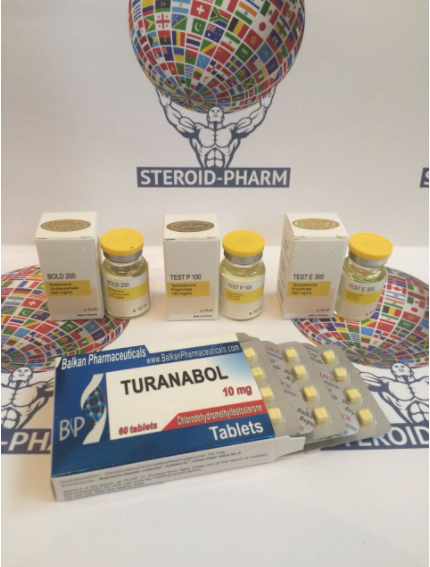 Turanabol is an oral steroid, which is taken every day regardless of training. The first week of admission is based on the use of 2 tablets. eery day, one tablet. in the morning - the second after dinner and so every day. All subsequent weeks are recommended to use 3 Turanabol tab. per day. It is accepted on 1 tab. three times a day and so on until the end of the course. Boldenone is an anabolic steroid of the injection type, it is administered strictly intramuscularly and never intravenously, it is better to inject into the gluteus muscle. Testosterone enanthate is an anabolic steroid, which is always available in the form of oily injections. Best with Boldenone. Testosterone propionate is an anabolic steroid oil-based, for carrying out intramuscular injections. Propionate should be taken after the main course and enanthate at the outlet.